Optimising your sleep – Optimising your rest – Optimising You! Looking For The Weight Loss Podcast Offer? Take Me To The Weight Loss Podcast Offer! What do I get in the better sleep package? Hypnosis is a proven method to combat insomnia and dealing with poor sleep quality. 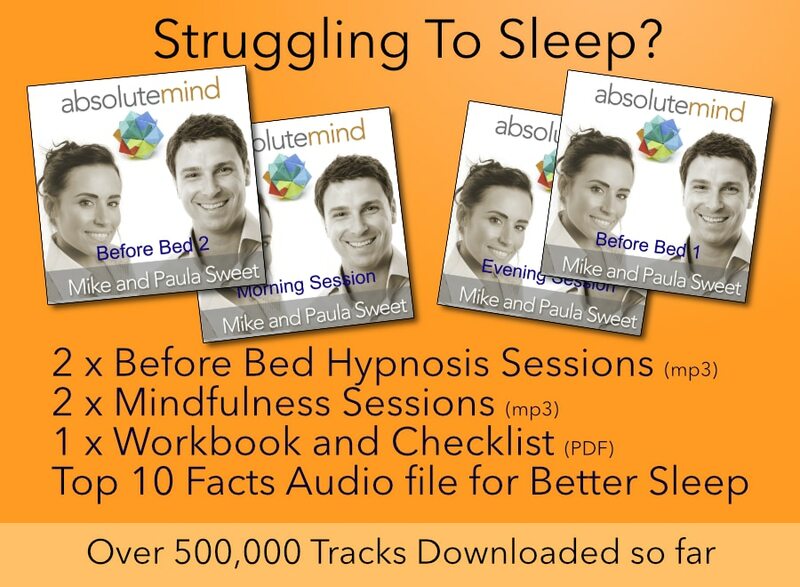 In this plan, we have compiled 2 x before bed Hypnosis audios. + These are both with a Binaural track background and allow you to sleep straight after. We have devised 2 x mindfulness meditations for you to start and finish each day in the best possible way. These 2 short and sweet session really give you a chance to change your thoughts and clear your mind for the day and night ahead. Hypnosis and relaxation are so effective, however, we also understand that it’s pointless trying to overcome an issue if there are many other factors forcing the issue. These 10 facts about sleep empower you to take charge of your sleep quality. PDF and 10 minute explainer audio track. This package was designed and recorded by Mike Sweet. Clinical Hypnotherapist and coach for over 8 years. This package has been made to empower you. Hypnosis and meditation are effective and enjoyable. Plus, I have included a PDF document with the top 10 way to enhance your sleep. This also comes with an additional 10-minute explainer audio to go through with the PDF document. 2 Full-length night time hypnosis with Binaural beats backing tracks. If you’re struggling to sleep and want to make a change and start sleeping better. Empower yourself and download your better sleep package today for only £17.